Join our challenge: “Alternatives to Lost Wax Smelting”. 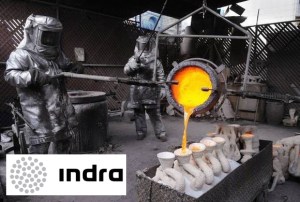 In this challenge, you will have to bring alternative solutions to lost wax smelting for Indra, a leading multinational operating in different sectors such as transport and traffic, security and defense, telecom and others.. Remember that in the end, the company is looking for new processes or suppliers to improve production costs and flexibility. The best solution will receive €5,000 euros! To access the complete challenge, register now and complete your profile at Ennomotive.com.